The 1988 film ‘Cocktail’ with Bryan Brown and Tom Cruise sparked the re-emergence of the humble cocktail. With visions of hunky Tom and Bryan doing fabulous tricks with the cocktail shaker, the cocktail went from near oblivion to a ‘must have’ when dining out! Whether it is a romantic night out or a hens’ party, cocktails should always be part of the plan for the night! At Sage Café Restaurant and Pizzeria our philosophy for dining is ‘Simple, popular food cooked exceptionally well with service that always exceeds your expectations’ and we also carry this philosophy over to our cocktail menu. We are not just a cafe restaurant and pizzeria (although we do them exceptionally well! ), our staff love creating fresh, tasty and exciting cocktails, which will have you coming back for more (just remember who the designated driver is for the night!). We will put the fun into your night, matching cocktails with each menu item from entrée through to dessert, we have you covered! For instance, you may start the night with one of our delicious and refreshing cucumber and water melon martinis to refresh your palate ready for entrée. From there you could enjoy the kick of the classic margarita with your main and then finish-off with a delicious cocktail to match your dessert. Sounds wonderful, doesn’t it? So what makes a great cocktail? Sage Café Restaurant Broadbeach, an award-winning restaurant, can guarantee we have all these qualities and more! 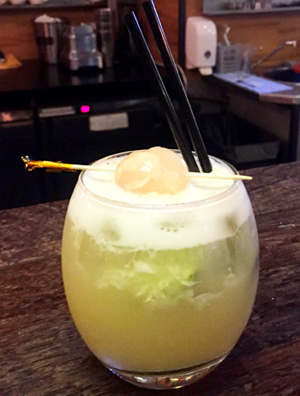 Our happy and vibrant staff are trained to provide you with deliciously yummy cocktails such as our popular signature cocktail “Lychee Kiss” made from the freshest of ingredients, including Bacardi, lychee liqueur, pineapple juice, a squeeze of fresh lime served over ice with a fresh lychee added. Remember, cocktails are meant to be enjoyed while relaxing and chatting with friends, not rushed through with a quick meal. At Sage Café Restaurant and Pizzeria, we love you to just settle in and enjoy your night. 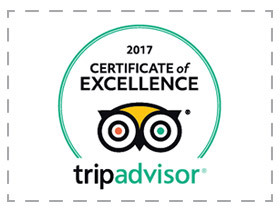 The atmosphere is warm, friendly and inviting, the staff are there to make your night a memorable one, the food delicious and the cocktails are made with your pleasure in mind. So, for your next night out with friends contact us and make a booking at Sage Café Restaurant & Pizzeria; enjoy some great food and out of this world delicious cocktails!